Sony has announced the first ever smartphone cradle receiver, allowing multiple brands of smartphones to serve as in-dash touchscreens. 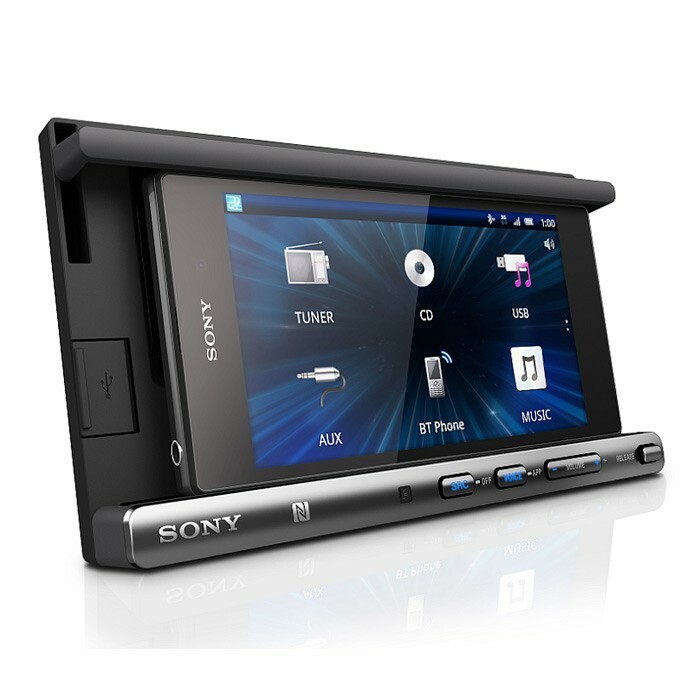 Sony's new XSP-N1BT is the world's first double-DIN Smartphone Cradle Receiver. It features a clamping system that holds a wide range of smartphones securely in the dash. Thus mounted, it becomes your in-car touchscreen for all things multimedia. I have an Xperia Z2 mobile phone that sits perfectly in the cradle, within minutes I was up and running with my phone and this device in perfect harmony. The advice and guidance from the Nottingham team was outstanding, a great combination of skills, understanding new technology capabilities, and then the ability to actually make things work within the practicalities of the car. I would recommend this product and the Nottingham team without reservation. Can it fit my car VW Passat 2.0 TDI 55 plate (2006 model)? How much would be the fitting? What is the maximum size of length and width of devices it can fit so to have an idea if it fit some tablets? For a free quote on installation, please visit your local store. Range Rover Classic 1992 - will it fit? Hi, got a Vauxhall Zafira 08 plate. Will this fit? Also have steering wheel controls. What parts would i need? Would this stereo fit into a 2002 SXI Vauxhall Corsa? If so, what would I need to fit it? hi there, yes this would fit this car fine using the below parts. hi there this unit will fit your car. in order to fit this sony double din unit into your skoda you will need the following few parts. 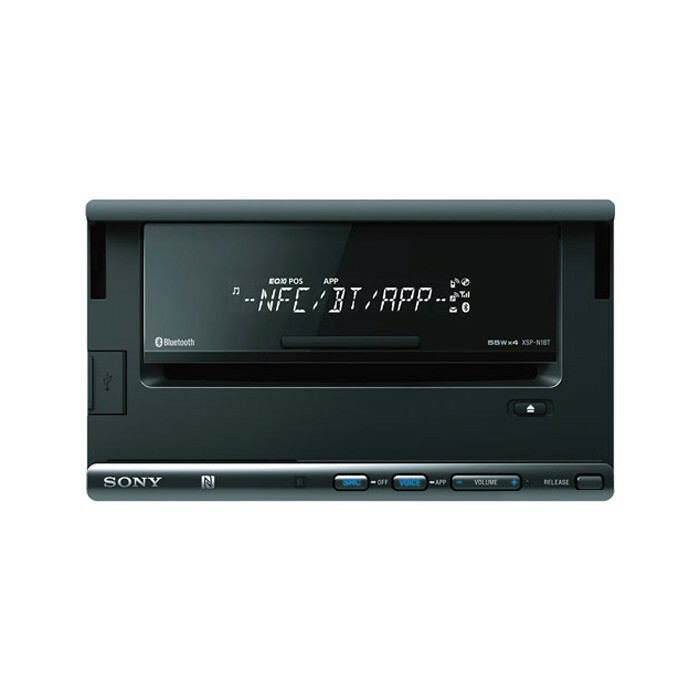 Can the Sony XSP-N1BT be fitted to my car (it's W309 and a '52 plate)? Does it play music/sat nav sounds through the car's speakers? Yes you can fit the XSP-N1BT to your W309. Yes it will play audio from its speakers and stream from your phone. Will the Sony XSP-N1BT fit my 2005 ford fiesta? Yes the XSP-N1BT would fit your Fiesta, However you will require a few parts. We would first need to know what units in the car from factory. Is it the 3 tier system? Once we know whats in the car we can guide you to the correct parts. Hi yes the XSP-N1BT will fit your honda Civic you will need a fitting kit for this, we have listed the parts below. I've recently purchased the new Sony Xperia Z3 Plus, will this fit in my car as well as connectivity with the new phone? I want to buy a sony xsp n1bt but I am not sure which fitting kit I will need to make this work on my Ford Focus 2006. Can you help? Thank you! will it fit to my car ? ( toyota auris), i would need new speakers to and how much it would cost with fitting included ? With this, you will also need a wiring adapter (CT20TY01). Depandent on orignal car specification, speaker sizes may vary. For this reason, please visit your local store to determine the speaker size, at this point you can be a given a free installation quoteation. Hi do I need any extra cables etc for my car? Do I need a new cage to hold this if I currently have a single din? I have a Ford ka titanium 60 plate and was wondering if it would fit? 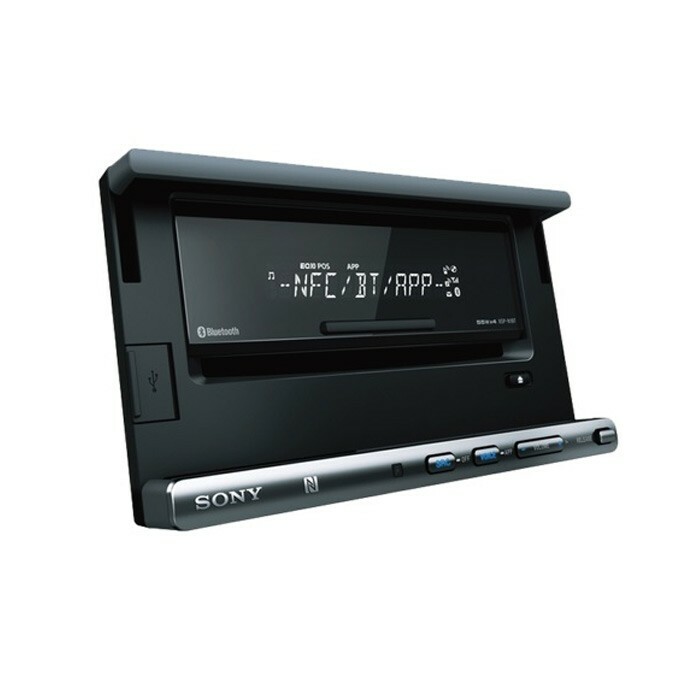 This Sony XSP-N1BT can be installed in your Ford Ka. You will need the following parts.